Princeton has quite a few remants of the old Kettler Valley Railway left standing. One of them is the Princeton Station which has of course been renovated and turned into a commercial business. It still stands by the old right of way, which has become a walk way through this part of town. You can follow the right of way from here and you will come to another landmark of the KVR. It is the Princeton tunnel, which is an extremely long tunnel! It is gated, but easy access for cyclists and people out for a stroll. 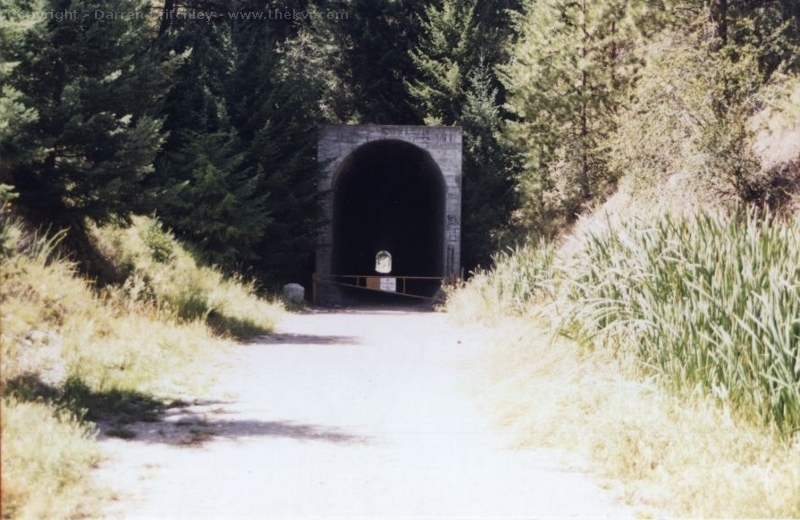 As you follow the right of way to this tunnel, you will come across where there used to be a wye. 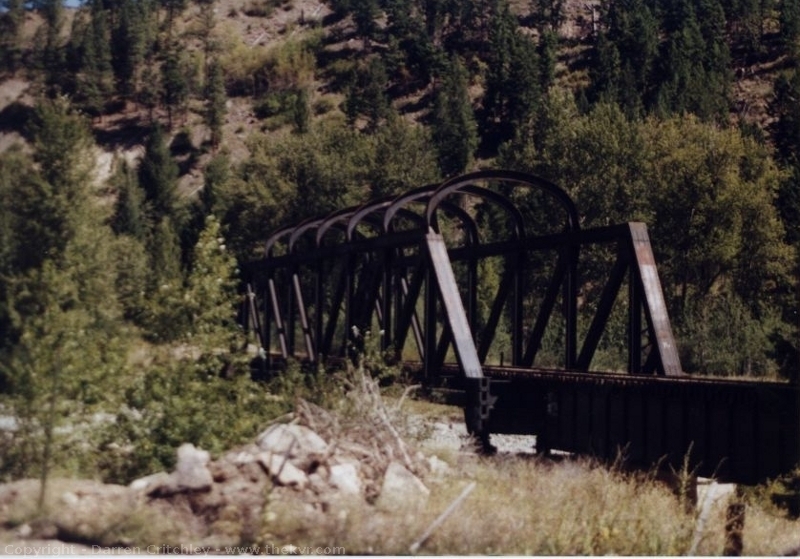 You will also see the concrete piers of an old bridge in the Similkameen River. That was the Copper Mountain Subdivision which goes up to Allenby and then finally Copper Mountain. 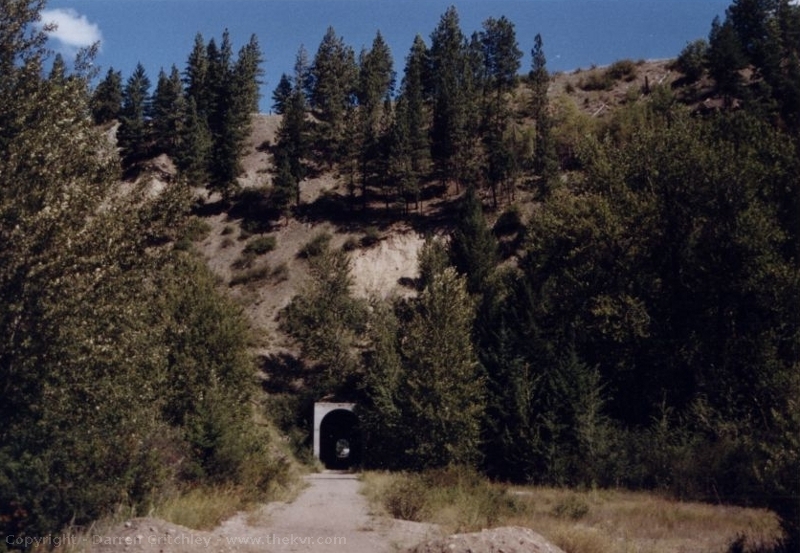 It is very interesting that on one side of the tunnel is the Similkameen River and when you get to the other side, you come upon the Tulameen River and you are actually in another valley. As you can see from the pictures, it is quite the lengthy tunnel. It goes under Highway 3. When you reach the other side, there is a very unique bridge there. It is Tulameen Bridge #6 and it is a trussed bridge, but with arches across the top to strengthen the bridge. These can be found elsewhere on the Kettle Valley Railway. Another unique thing, which has little to do with the railway itself, but is along the rail bed nonetheless, is the Princeton Castle. Princeton Castle is actually an old concrete plant that someone decided to turn into a resort. It does look like a castle and is an interesting tourist attraction. 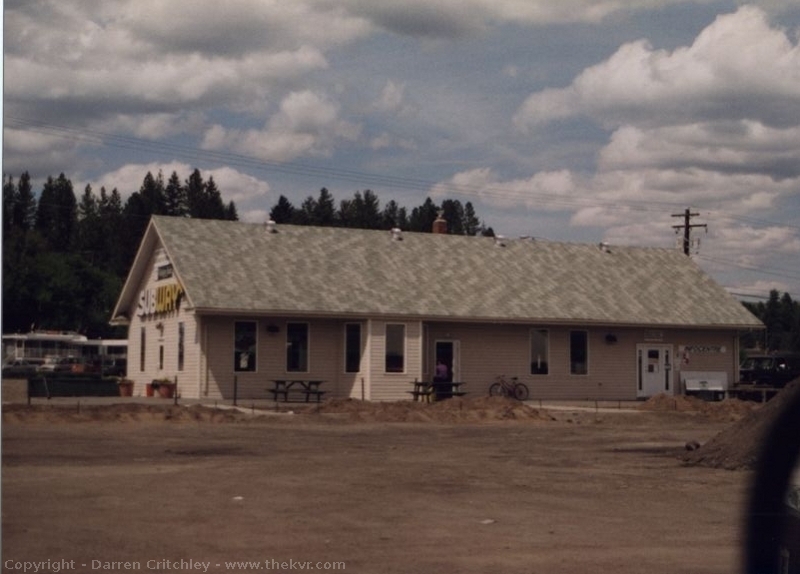 I remember back in the 70’s when we used to go to the Okanagan through Princeton, there were red dots on the telephone poles on the Hope Princeton Highway. There used to be signs saying follow the red dots to the Princeton Castle. 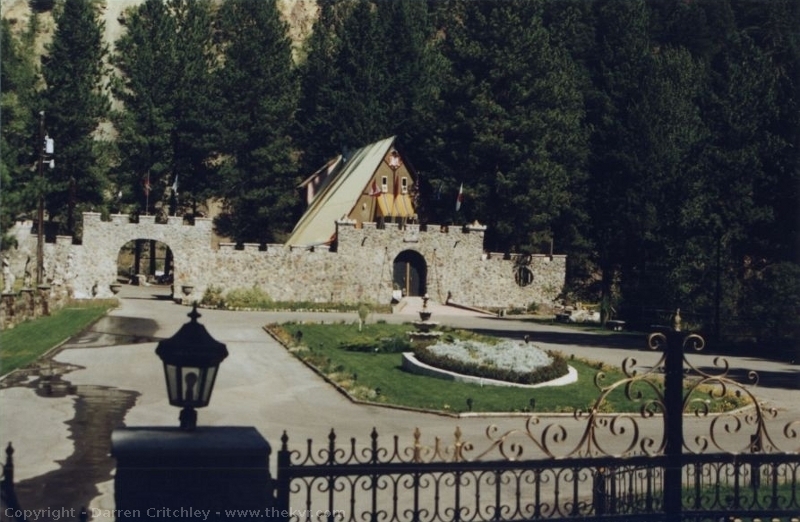 The Princeton Castle can be found on the way out of Princeton, towards Merritt on the Summerland Princeton road.